Green moss on Laugahraun lava in Landmannalaugar. 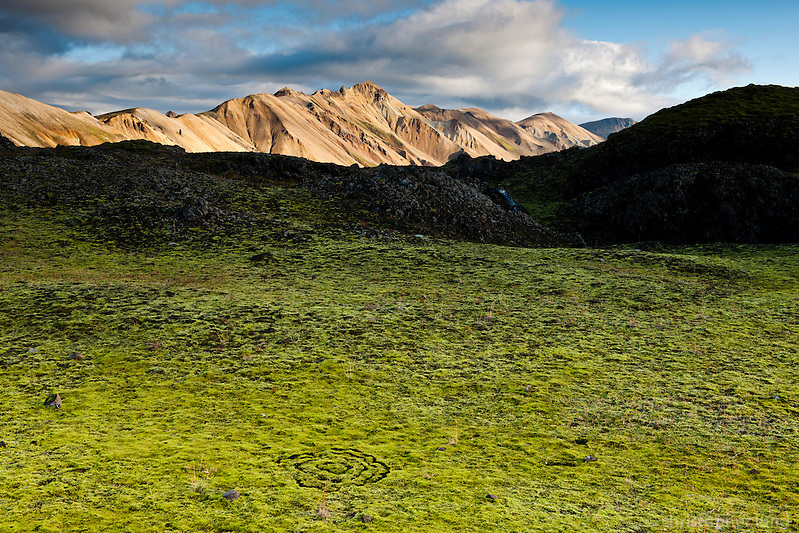 Circular pattern called ‘Witchcircles’ (icelandic: Nornahringir) from a fungus that grows under the moss and kills parts of it in this circular pattern. Posted on Saturday, March 5th, 2011 at 14:54. Filed under: Interior of Iceland, Locations	RSS 2.0 feed.